September 15, 2016 4:48 pm. THE Caulfield Stakes is a time-honoured group one weight-for-age race which has been won by some of Australia’s most iconic thoroughbreds. Held over 2000m at Caulfield during the Melbourne spring carnival (on the same day as the Caulfield Guineas), the Caulfield Stakes was famously won by the likes of Kingston Town (1981, 82), Bonecrusher (1986) and more recently Lonhro in both 2002 and 2003. It has long been known as a “good horses” race which couldn’t be more true and punters typically have a field day when backing the well-favoured runners. The $500,000 Group 1 Caulfield Stakes is an important race on the calendar, but usually attracts only a small number of entrants. The small field size gives punters a better chance to identify the best value in the race which has been a recipe for success. Due to the weight-for-age conditions and the timing of the race, bookmakers don’t open early all-in markets. The betting for the Caulfield Stakes typically opens two weeks prior to the running which leaves punters plenty of time to sort out their investments. The following bookmakers will all offer betting on the Caulfield Stakes and bonus offers will be available in the week of the big race. There are no odds available for the 2019 Caulfield Stakes. Winx has saluted in the Caulfield Stakes en route to the Cox Plate. The Caulfield Stakes is a major lead-up race towards the Cox Plate, so punters looking to bet in the early Cox Plate markets should take a close look at this race. It’s also key to identify the potential champion runners in the field. There has been plenty of upset winners in the race, but the good horses have an excellent winning record and the past winners list is a Hall of Fame honour roll. Horses such as Bonecrusher, Kingston Town, Gunsynd, Lord, Rough Habit and Lonhro are past winners of the Caulfield Stakes and the list of champions continues to grow. Since 1983, there has been only five double-figure odds winners with an average price of $20. Douro Valley won in 2008 at odds of $40. The shortest winning price was Winx in 2016. The champion mare paid $1.20 to win in the three horse field, which was considered a generous price at the time. The Underwood Stakes is a key guide to betting the Caulfield Stakes. Ocean Park, So You Think and Northerly all entered the Caulfield Stakes as last start winners of the Underwood Stakes. Champion runner Lonhro also entered as a last start winner having won the George Main Stakes. Since 2000, eight winners have emerged from the Underwood Stakes and the Makybe Diva Stakes at Flemington is also a solid form guide. Jockey Damien Oliver has the best statistics of any jockey having won on four occasions from 16 attempts. 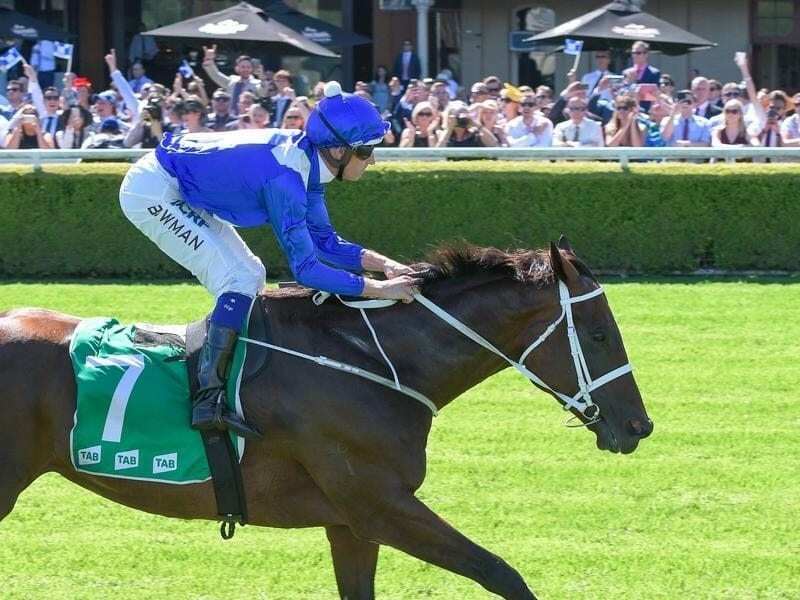 Godolphin star Benbatl came to Australia looking to tune up ahead of a tilt at the Cox Plate but backers got more than their money’s worth in its Australian debut. Benbatl jumped sharply from the gates and got an easy lead before Homesman took the lead and gave the British import the perfect tail into the race. Benbatl eventually broke away with Godolphin stablemate Blair House, with the Dubai Turf winner getting up right at the post. Gailo Chop showed its true credentials when winning the 2017 Caulfield Stakes against a hot field. The imported son of Deportivo sat close to the pace throughout, as many did that day, before kicking strongly in the straight. The Darren Weir runner had to fight off international runner Johannes Vermeer which made impressive ground late and Jon Snow battled away well after setting a hot tempo. Race-favourite Bonneval was a touch disappointing, but not many were making ground from the back. Hartnell was again disappointing in 10th. Read race report. Only three horses contested the 2016 running of the Caulfield Stakes, but racing fans weren’t left disappointed. Champion mare Winx proved too good for champion Victorian Black Heart Bart in what evolved into a two-horse affair. Winx strode up to it in the straight and cruised to the line, winning by 1.5 lengths. It was the final run before Winx’s 2016 Cox Plate defense. Read the race report here. Criterion added another big win to his resume with a strong performance in 2015. The Hayes/Dabernig-trained horse didn’t have the best of runs in transit, but dug deep with jockey Michael Walker in the saddle to score by a half-length over Happy Trails. Criterion ran at well over the odds at $7.50, with most of the money coming for Kermadec, but many punters were on Criterion at the each way price. Mongolian Khan finished third before subsequently winning the Caulfield Cup. Fawkner was a strong middle-distance gelding which excelled during the Melbourne spring carnival. The Robert Hickmott-trained seven-year-old finished strongly after getting a good run in behind the leaders throughout. It got up on the line over Criterion, who won the following year, and paid $5.50 for the win. The quality field included the likes of two-time Doncaster Handicap winner Sacred Falls (4th) and former Australian Horse of the Year Dissident which finished sixth. Atlantic Jewel was already a superstar heading into the Caulfield Stakes and it showed its very best come race day. The Mark Kavanagh-trained mare was one of the shortest-priced favourites in the race’s history when it ran as a $1.31 chance. The daughter of Fastnet Rock won by four lengths in a demolition over the likes of Foreteller and Super Cool, but the field consisted of only five runners as many were put off by Atlantic Jewel. Punters scored another big win in 2012 when Ocean Park won paying $1.50. The well-supported Kiwi runner took advantage of another small field of only six runners and they were mostly stayers looking for more ground. The four-year-old sat in a nice position during the run and was ridden out strongly by three-time Melbourne Cup-winning jockey Glen Boss.